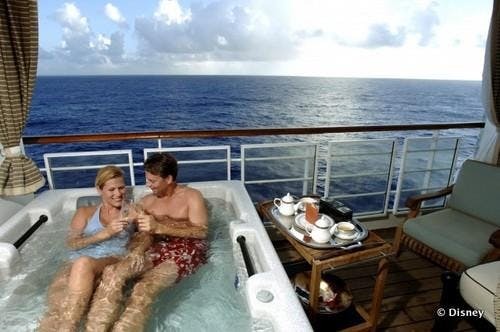 Treat yourselves to a Valentine's Day weekend getaway to the Bahamas aboard the Disney Wonder. Imagine a place where families can reconnect and adults can recharge in fantastical worlds only Disney can create. Renowned for its classic design, modern innovation and timeless whimsy, the Disney Wonder is home to 11 decks overflowing with restaurants, pools, recreation and more—ready to transport you to exotic locales waiting to be explored. All Rates are based on double occupancy and are subject to change without notice. Rates includes taxes and port fees. Rates do not include gratuities, excursions, transportation to and from the port, hotel, flights, parking, or anything not explicitly stated in this description. Final payment due by November 15, 2018. If full balance is not paid by the due date shown above, a $50 cancellation fee will be deducted from any amount paid.